At 16 Ben has won approximately 20 State archery titles as well as achieving silver medals nationally in both Junior and Senior-archery, as well as currently holding State records in some disciplines. Australian Trans -Tasman Team. 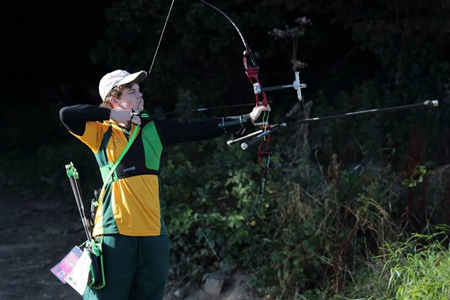 He has also qualified and hopes to be selected for the Australian Team to represent at the World Field Archery Championships. In September 2016 he turned 18 years old and 2 days later went to the World Field Championships in Ireland. He has competed at the Vegas Indoor World Cup event and placed 3rd in the Australian Youth National Championships WA90/1440. He won a Bronze medal in the team’s event at the Australian Open.